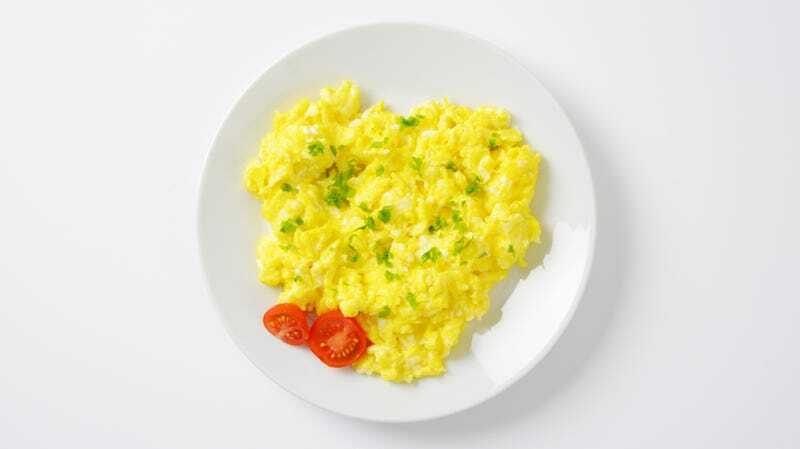 Would you buy pre-made scrambled eggs in a bag? British grocery chain Iceland announces a new convenience item, according to The Sun: Pre-made scrambled eggs in a bag. The product costs £1.50 (about $2) and takes only 90 seconds to microwave, available in the refrigerated (not frozen) aisle. According to The Sun, Iceland devised this product because people don’t know how to make scrambled eggs: In fact, “it claims 13 percent of students don’t even know how to boil an egg, according to its recent survey of 1,000 people.” Granted, this was Iceland’s own survey, and it is in line with recent findings that more people are favoring convenience food over cooking. On one hand, sure, that’s convenient. On the other, you can go on the internet and find a video on how to make scrambled eggs in a mug in about the same time. Or, better yet, take a look at The Takeout’s “The Scrambled Eggs Show!” in which various chefs share their tips and tricks for making the perfect top-of-stove mixed-up eggs dish, which, granted, can be trickier than it looks. We haven’t tasted Iceland’s new product, but we’re guessing that our eggs might bring a little more to the table than theirs does, even if they take longer than 90 seconds. Depending on how hungry you are, it’s likely worth the extra effort. Welcome to the premiere of The Scrambled Eggs Show!